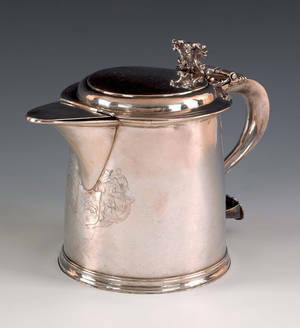 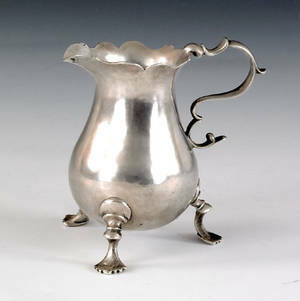 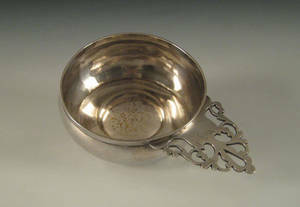 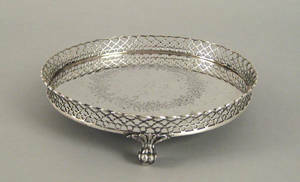 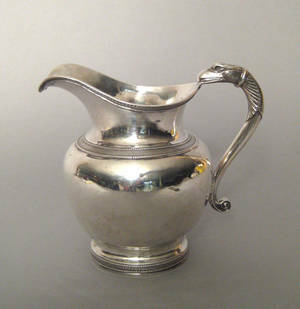 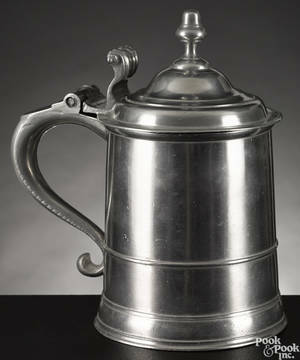 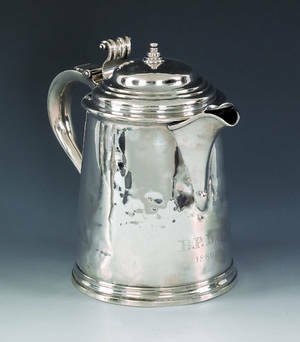 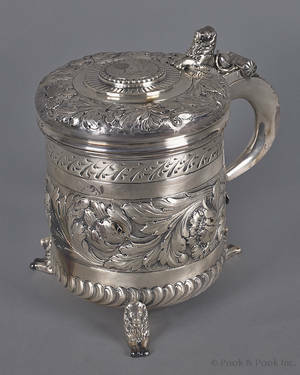 Realized price for Boston, Massachusetts silver tankard, ca. 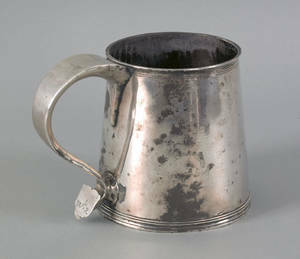 Boston, Massachusetts silver tankard, ca. 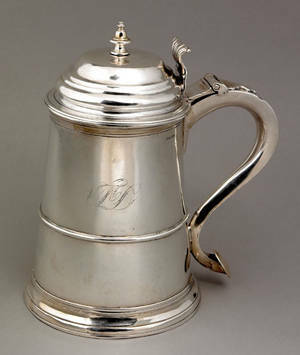 1755 , of tapered cylindrical form with a domed lid topped by a bell finial, bearing the touch of John Coburn and the cipher "TD", 8 1/4" h., approx. 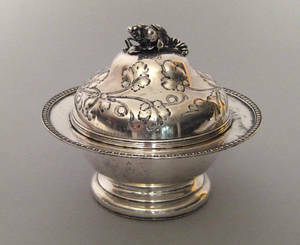 27.1 troy oz.